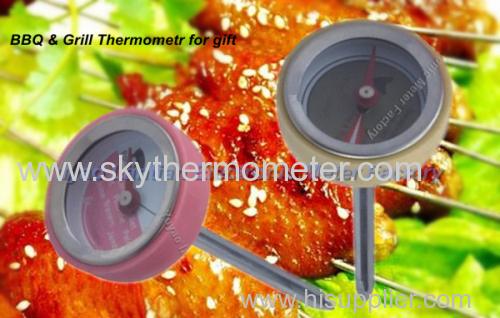 7.Use: can be used to measure the temperature of roasting food, portable design,reading directly. 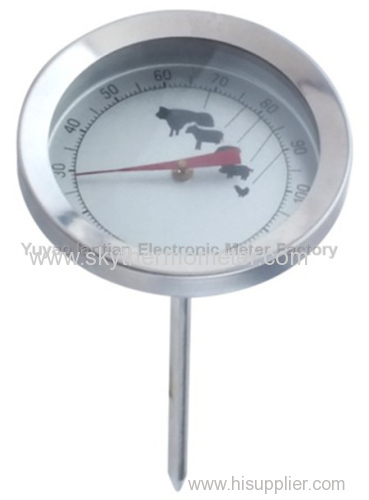 Dial size 1" 1 3/8" 1 3/4" 1" 2" 2 1/2" 2"
Usage measure the temperature of roasting meat accurately, kitchen use or outdoor bbq use,also can measure liquid such as drink directly. 1. 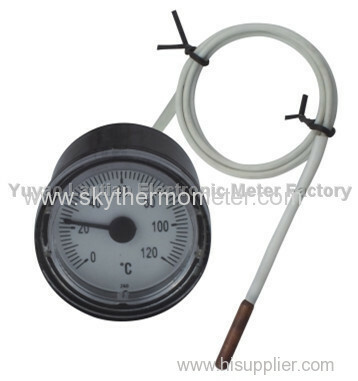 Capillary thermometer(Pressure theory): plastic type, stainless steel type, with flange type. 2. V-shaped thermometer(glass rod): straight type, 90degree angle type, vari-angle type, plastic type, stainless steel type. 3. 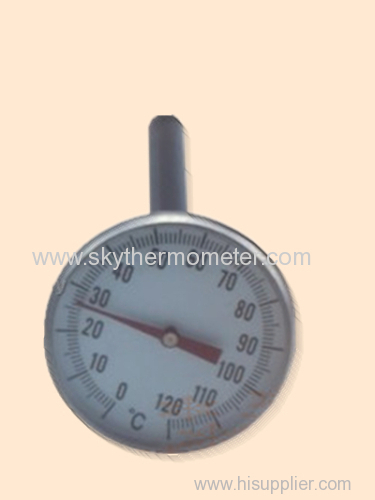 Bimetal thermometer(Dial& SS case): universal type, radial type, bottom type. 4. 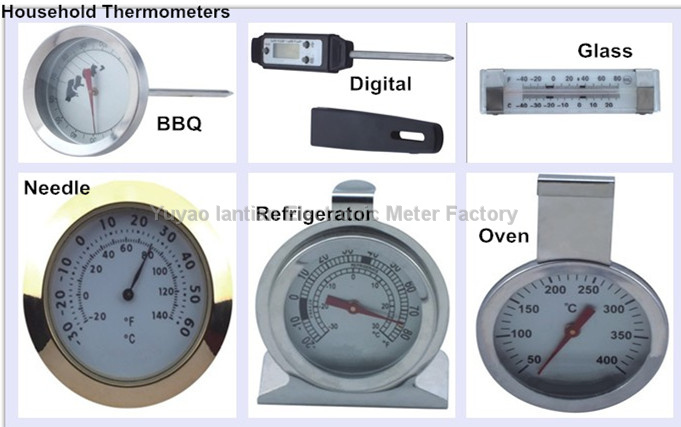 Household thermometer: BBQ type, oven type, refrigerator type, digital type, glass type, needle type. 5. 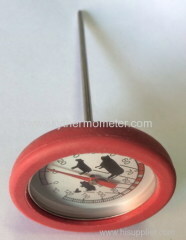 Thermomanometer: capillary type, metal type. 6. 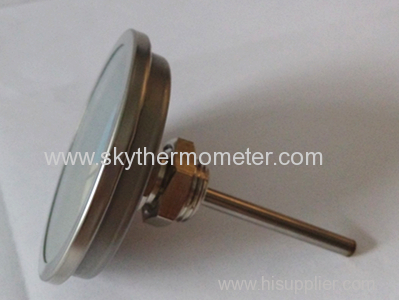 Accessories: cover, glass rod, connection, spring tube. 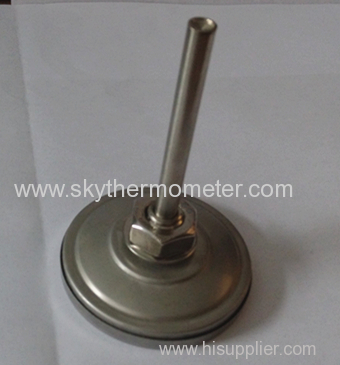 Our service is to supply R&D and OEM according to customers' requirements. 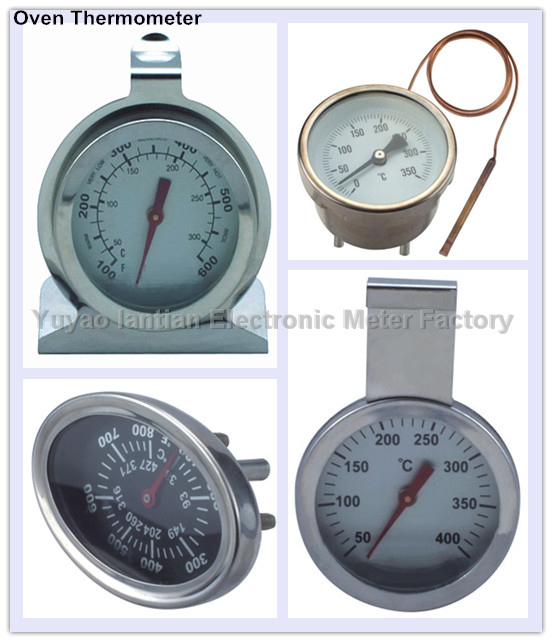 Our advantage is rich experience and mature technology with CE& ROHS certificates. 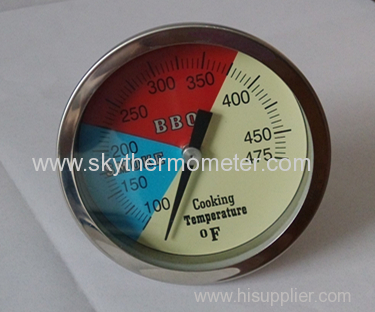 Our target is to satisfy every customer with best quality and service. 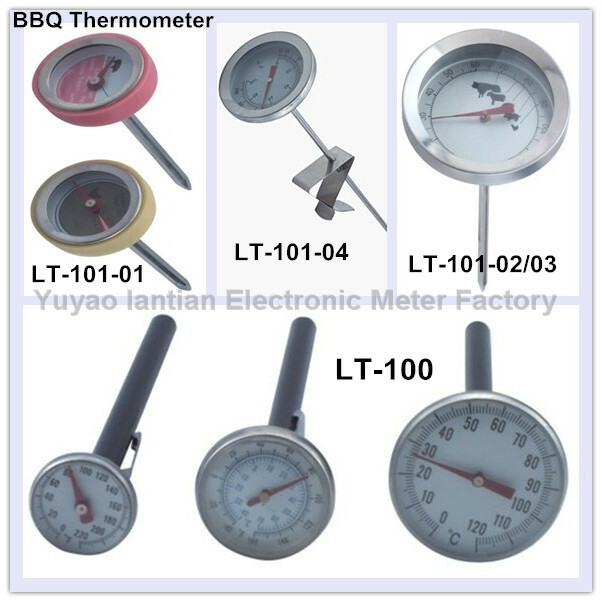 For more than 25 years experience in making thermometer series, Yuyao Lantian Electronic Meter Factory specialized in producing capillary thermometer, V-shaped glass thermometer, bimetal thermometer, digital thermometer, bbq thermometer, glass thermometer etc. 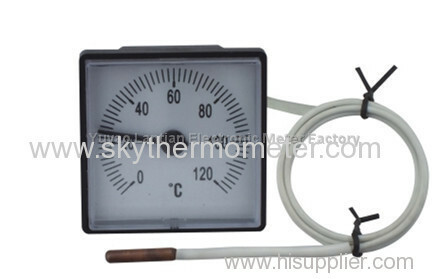 which can be widely used in HVACR, vessel, petroleum chemical, electronic and household fields. 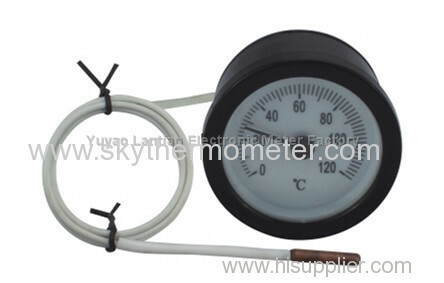 Our factory is located in Yuyao City, Zhejiang Province, China. It's 1 hour distance from Ningbo and Hangzhou air port, near Ningbo and Shanghai port. 1. Certificates: CE& ROHS, passed ISO9001:2008 International Quality Management System. 2. R&D and OEM service is available. 3. Rich experience and mature technology: cooperating with famous companies in Europe and America. 4. 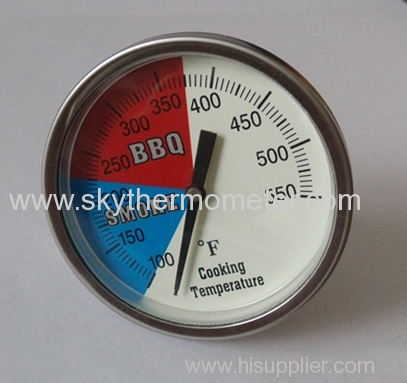 Popular products: hot selling in Europe, America, Africa, Mid-east, Asia etc..